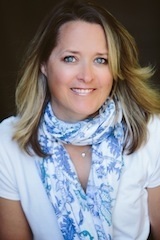 I was born and raised on the Tiburon Peninsula and have been working in real estate for over a decade. I’ve consistently been an award-wining producer and I’m very excited to be part of a team that harnesses the strength and breadth of service that is offered by Pacific Union. This valuable resource, combined with being a Marin native, gives me an edge few Realtors can claim. Prior to becoming a Realtor, I worked in the fashion and television production industries which galvanized qualities within me that have translated well into the real estate business: great people skills, adept problem-solving abilities, and savvy negotiating skills. I really enjoy what I do and believe that at the base of it all, real estate is a people business. The most rewarding piece of this profession for me has been the relationships I have developed with my clients over the years. I’m active within my local community as a board member of the Tiburon Peninsula Foundation (TPF), a group that provides seed-funding for local projects through grant requests. The TPF has made significant contributions to our community by funding some wonderful events and projects that benefit area residents. Grant funds are used to offer classes, study space and play space to members of all ages in the community. As a Marin native, I naturally bring a unique perspective about this community to the work I do. I am a dedicated advocate for my clients and committed to go that extra mile to help navigate the real estate process seamlessly, whether searching for that “right property” for buyers or mapping out the most effective sales strategy for sellers. I look forward to the opportunity to help you through this process.